A web-based programme to encourage more frequent handwashing reduces the risk of catching and passing on respiratory tract infections to other household members, a randomised trial of more than 16,000 UK households published in The Lancet has found. Users of the programme, called PRIMIT, also reported fewer gastrointestinal infections, a lower demand for consultations with their doctors, and fewer antibiotic prescriptions. “Our findings suggest that a simple, cheap internet programme to encourage handwashing can reduce the risk of infection by around 14 per cent. 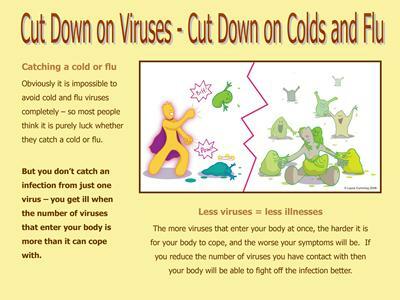 Because most of the population catches coughs, colds, sore throats and other respiratory infections, this could have an important impact on reducing the spread of these viruses in the general population, and also help reduce the pressure on NHS services during the winter months,”  explains lead author Professor Paul Little from the University of Southampton. The study examined the real-world effectiveness of PRIMIT, a free-to-access, interactive, web-based programme. 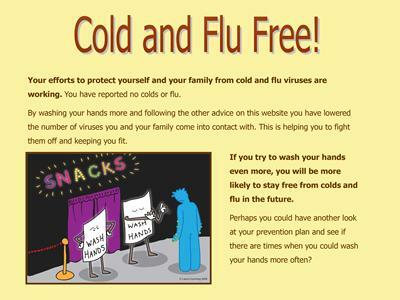 The programme has four weekly sessions which explain medical evidence, encourage users to learn simple techniques to avoid catching and passing on viruses, monitor handwashing behaviour, and provide tailored feedback. Across three winters from January 2011 to March 2013, in the midst of the season for flu and other respiratory infections, researchers enrolled 20,066 individuals aged 18 years and older from 344 general practices across the UK. Volunteers were randomly assigned access to the PRIMT website or no intervention. Participants were followed for 16 weeks and questionnaires were used to measure episodes of respiratory infections, duration of symptoms, and to check whether other household members had a similar illness. At 16 weeks, 4,242 individuals (51 per cent) in the PRIMIT group reported at least one respiratory infection compared with 5,135 individuals (59 per cent) in the control group, equivalent to a 14 per cent reduction in risk. The risk of catching a flu-like illness was about 20 per cent lower in the PRIMIT group compared to the control group, and need for primary care consultations and antibiotic prescriptions were also reduced by 10–15 per cent in these individuals.